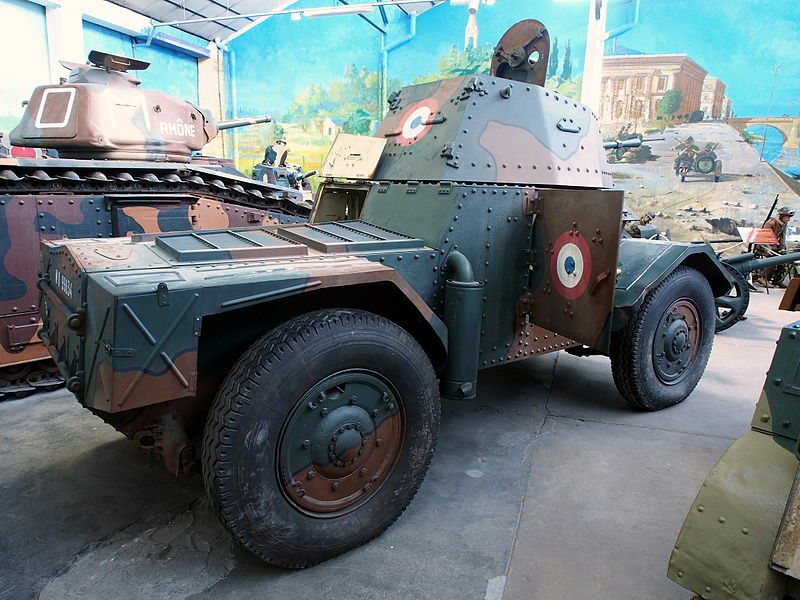 The most popular model of all the French armored cars, colloquially known as the “Pan-Pan”, in reference to Panhard, was also one of the longest-living, most produced and most widely used armored car before, during and after World War Two. It was a tribute to its qualities, a good balance between mobility, firepower and protection. 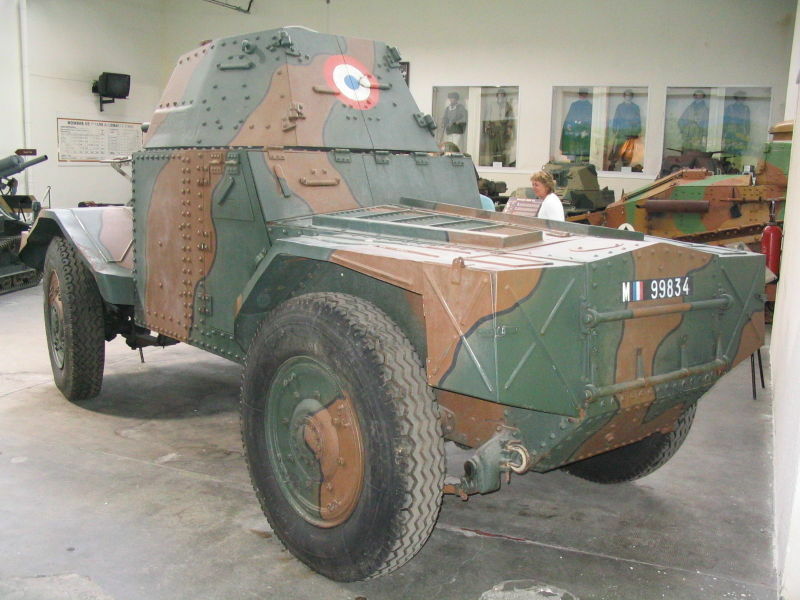 Panhard is still the French reference builder of armored cars and wheeled tanks today. 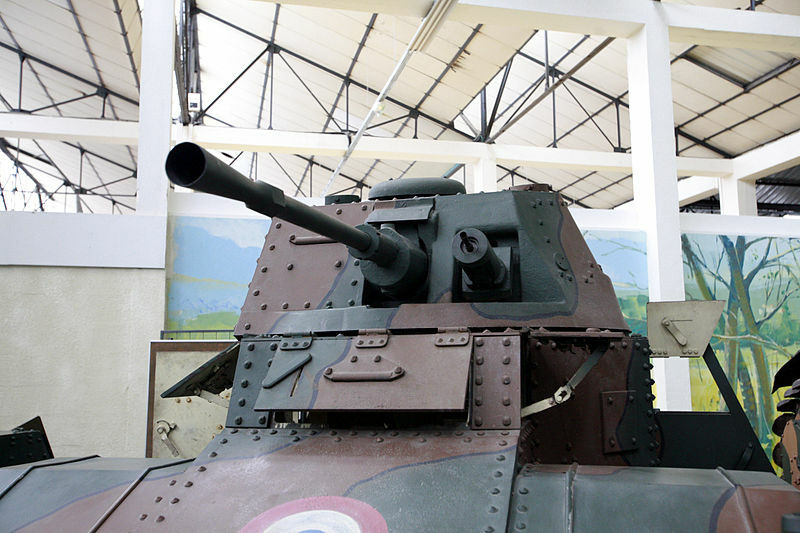 Development of the model 178 began with a 1931 specification from the cavalry, for a modern, long range and fast reconnaissance vehicle classed as an AMD (“Automitrailleuse de Découverte”). The final specs came in November 1932 and asked for a 4-ton wheeled vehicle capable of cruising up to 400 km (250 mi), with a top speed of 70 km/h (44 mph), a 12 m (39 ft) turning radius, 8 mm (0.31 in) of armor and a 20 mm (0.79 in) main gun and coaxial 7.5 mm (0.295 in) machine-gun. By 1933, Panhard, Renault, Berliet and Latil proposed prototypes. 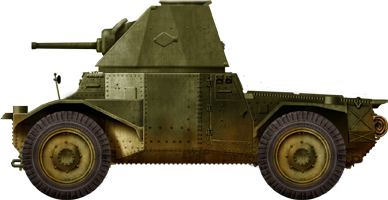 Panhard was the earliest bidder, demonstrating, in January 1934, its special prototype 178 before the Commission de Vincennes with a provisional Avis 13.2 mm (0.52 in) machine gun turret. It was accepted with some modifications, despite being over the weight and size specs, and tested again in late 1934 by the cavalry. It was accepted as the AMD 35 (or “modèle 1935”). The first model was fitted with the APX3B turret. After complaints of cracking gun sights and overheating interior, modification were applied to production models in 1937, adding a silencer and a ventilator to the turret. By 1940, most experts agreed that the Panhard 178 was one of the most modern 4×4 designs worldwide. The hull design was straightforward, with a fighting compartment comprising also the driver and co-driver seats at the front. The gunner and commander stood in it, or sat on simple leather belts. The hull, made of 5 to 8 mm (0.2-0.31 in) steel plates was riveted. The four wheels were independently sprung to horizontal leaf springs. There were two access doors at the rear of the fighting compartment and the engine compartment was after it, separated by a fireproof bulkhead. The Panhard ISK 4FII bis V4 petrol engine (6332 CC, giving 105 hp@2000 rpm) was mounted very low, giving the vehicle its distinctive silhouette. As customary there was a dual-drive, with a rear driver doubling as radio operator (short range ER29, medium range ER26 sets), an eight-speed gear box and a normal steering wheel for quick reverse march. The compactness of the design allowed it to fit 26 mm (1.02 in) thick frontal armor and 13 mm (0.51 in) side armor, 7 mm (0.28 in) bottom, 9 mm (0.35 in) top and glacis and 13 mm (0.51 in) to the back, sides and front of the superstructure. The turret had a 20 mm (0.79 in) thick front plate and 13 mm (0.51 in) sides, which were sloped. This gave a total weight of over 8 tons, double of what was planned originally. However, this did not put any constraints on performances, as the top speed was still 72.6 km/h (45.1 mph), with an average cruising speed of 47 km/h (29 mph) and range of 300 km (186 mi), thanks to two fuel tanks of 120 and 20 liters. Off-road capabilities were limited however (26 mph/42 km/h to speed), despite being a real 4×4, because of the large gap between the two axles. Crossing capabilities were just sixty centimeters (2 ft), but it could climb a 30 cm (1 ft) obstacle. The APX3 turret, derived from that of the AMC-35, had a large double hatch on the back and was large enough for two men. It was electrically traversed, with the commander at the right and gunner at the left. They had a standard (and later Gundlach type) periscope and PPL.RX.168 episcopes. On the first batch, there was a Chrétien diascope on the front and simple vision slits with armored shutters on the sides. The standard 20 mm (0.79 in) AT gun was derived from the light 25 mm (0.98 in) Hotchkiss modèle 34, fitted with the L711 sight. Due to the shorter barrel, heavier charged rounds were used, giving a muzzle velocity of 950 m/s (1039 yd/s). With tungsten-core ammo, this was sufficient to defeat 50 mm (1.97 in) of armor, like that of the Panzer III front plate. However, the light projectile failed to cause much damage inside and multiple shots were needed. 150 rounds were stored. The coaxial 7.5 mm (0.295 in) Reibel machine-gun comprised 3,750 rounds, of which 1,500 were armor-piercing. A spare 7.5 mm (0.295 in) was stored and could be mounted over the turret for AA defense. The first series was scheduled to start in 1937, but work really started in 1938 due to shortages, strikes and delays in the production of the turret. By September 1939, 219 hulls at least were available, pending completion for some. By May 1940, total production reached 339 vehicles. Variants were the commander versions (with long range radios, 28 vehicles), a colonial version (8) and a North African version, with a heavy duty radiator (128 vehicles). In June 1940, an attempt was made to use surplus hulls as tank destroyers, fitted with an open-top turret and a 47 mm (1.85 in) SA35. More conversions were planned, but only one vehicle was used in combat. By the time of the armistice a grand total of 429 vehicles had been delivered, and 553 extra hulls. Since there were more hulls than turrets available, after the German occupation, extra hulls received additional turrets produced under German supervision (176 more), giving a grand total of 729 vehicles. Modifications started with the 111th vehicle, with the fitting of an armored turret ventilator and, later, stowage boxes were added to the rear fenders. Unit cost was 275,000 Francs (hull only). 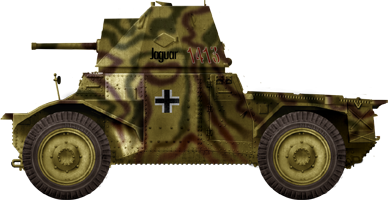 After the liberation of Paris, plans were made to resume production at Firminy (North) with many modifications, ended with a model called Panhard 178B. The hulls were modified to receive a bigger turret Fives Lille (FL1), large enough to house a 75 mm (2.95 in) SA 45 L/32 gun. Also added was a new four cylinder engine and an EM3/R61 radio set. An order was given for a first batch in January 1945, followed by another in July. However, in the meantime, production reverted to a smaller 47 mm (1.85 in) SA35 coupled with a machine-gun. 414 were built in 1945-46. 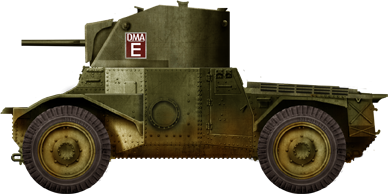 The first unit which was given the new armored car was the 6e Cuirassiers, in April 1937. By 1939 there were eleven squadrons using 218 vehicles. By the spring of 1940, the 21e Escadron (later 4e GRDI) saw action in Norway. By May-June 1940, the 370+ vehicles were allocated to reconnaissance squadrons organic to mechanized and armored divisions. The Divisions Légères Mécaniques (DLM) in particular had 40 vehicles each, plus 4 radio and 4 reserve. In Divisions Légères de Cavalerie (DLC), complement was 12+1+4. Mechanized Infantry divisions (GRDI) also used the type with sixteen vehicles each. By May 1940, one of these units conducted skirmishes with advanced elements of the Wehrmacht in Holland, near Hertogenbosch. They also engaged German elements in Belgium, conducting a successful fighting retreat, then engaged with reconnaissance columns at the Battle of Hannut. 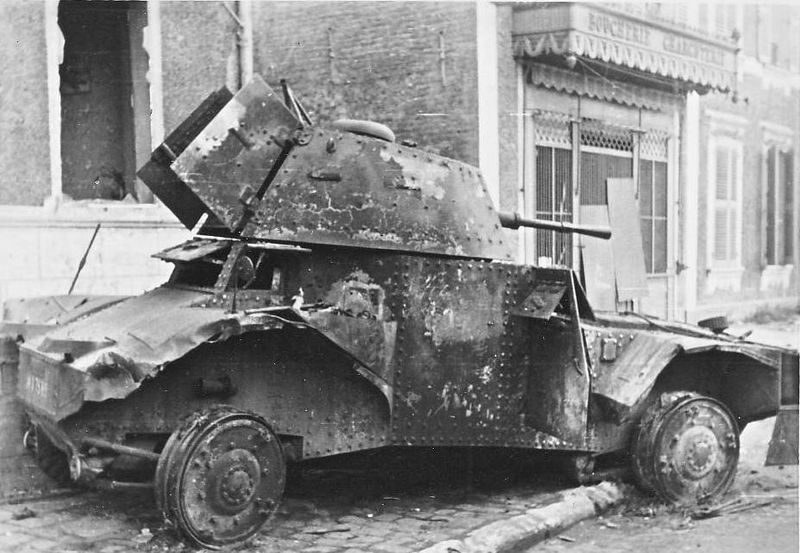 German vehicles were similarly equipped with 20 mm (0.79 in) gun, but did little damage to the Panhard’s armor. 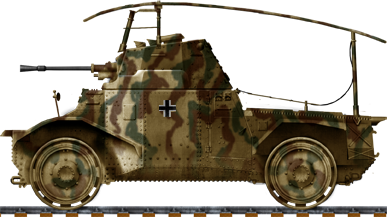 After the fall of France, the German army captured or obtained 190 vehicles, some brand new, as Panzerspähwagen P204 (f). They saw heavy action during Operation Barbarossa, 107 being lost in 1941, as well as converted to Panzerspähwagen (Funk) P204 (f) (with a bed frame antenna), still soldiering by 1943 on the Eastern Front. By that time, many received spaced armor. 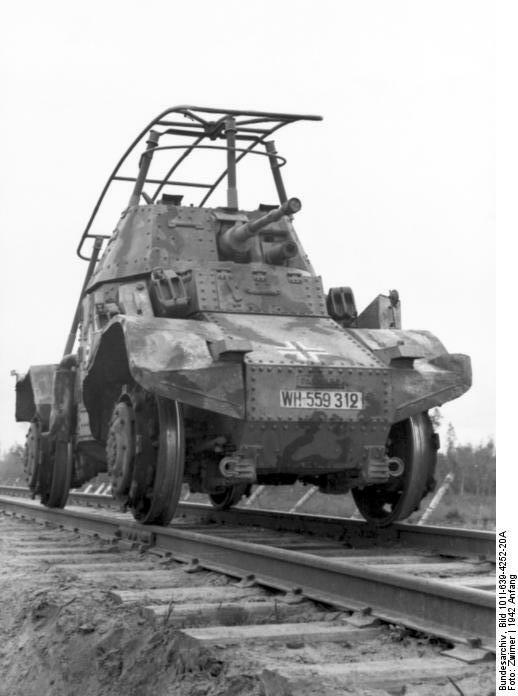 43 more were converted in 1941 as railway patrollers (Schienenpanzer). The Vichy regime used 64 vehicles for police duties (with the gun replaced by a machine-gun), later captured by the Germans in November 1942. 34 of these were converted as open-top carriers for 50 mm (1.97 in) L/42 or L/60 guns by 1944, staying in France. None of the vehicles planned in 1939 for North African service were sent. Instead, the bulk was absorbed by De Gaulle’s 10e cuirassiers, 4e DCR. However, four modified colonial vehicles with the smaller ZT-2 turret were sent to Indo-China (Vietnam). One was captured by the Japanese. 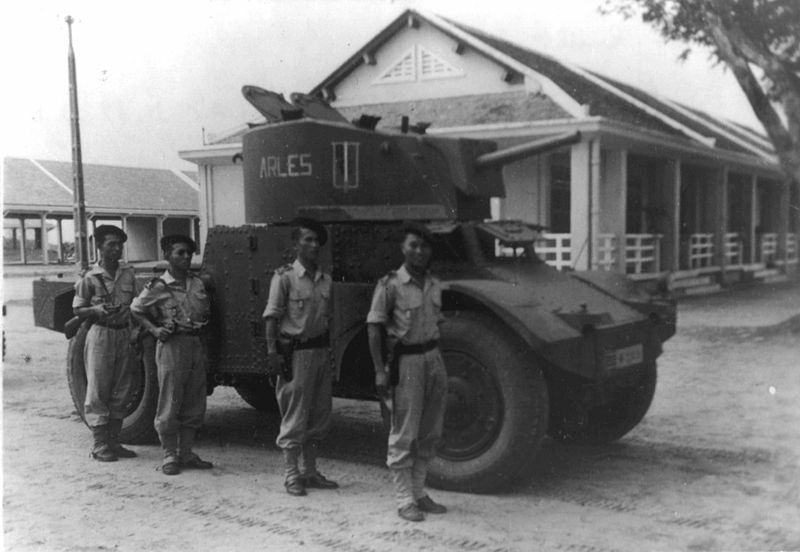 After the war, Panhard 178B were sent in French Indo-China for counter-insurgency operations. Others saw service until the early 1960s at Djibouti or with the Syrians. These vehicles were generally considered fast, reliable, easy to drive and with a quiet engine, but at the same time suffered from several issues: a weak clutch, slow turret rotation, cramped interior, unreliable radio sets, poor cross-country drive and very noisy brakes. 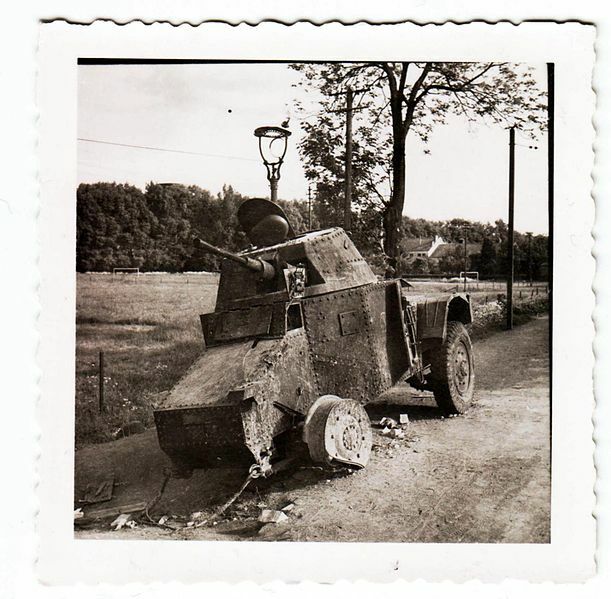 Panhard 178, early production, 6th GRDI, 2nd Squadron, France, May 1940. AMD 35, late production (4th prod. batch), 8th Cuirassiers, 2nd DLM, France, September 1939. Panhard 178 tank hunter with the Renault turret designed by Engineer J. Restany and 47 mm (1.85 in) SA 34, 1st DLC, France, June 1940. 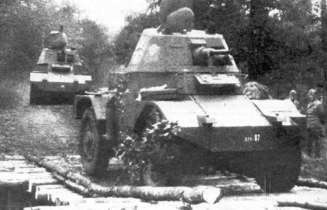 Vichy French Panhard AMD 35 ZT-2 in Vietnam, 1941. Panzerspähwagen P204(f) mit 5 cm KwK 38 L/42, Sicherungs-Aufklärungs-Abteilung 100, Southern France, 1943. Panzerspähwagen 178 P204(f) CDM, 1000th Auklärungs Abteilung 89th Infanterie Division, France, summer 1944. 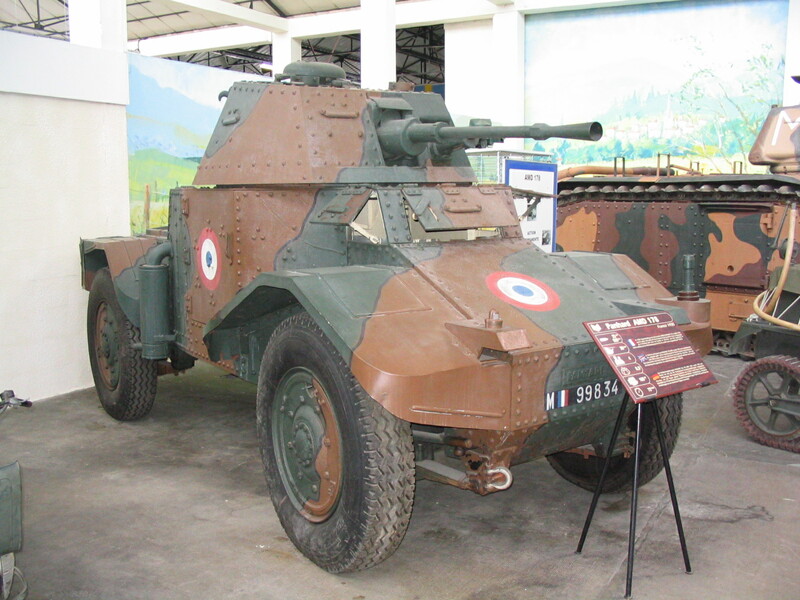 Panhard 178B/FL1, French Indo-China, 1947. Did the tank hunter version have the 47mm SA34 or SA35? Illustration says SA34 and text says SA35. Can anyone provide me with the barrel length (in calibers) of the SA 35 25mm gun? Thank you in advance!